When the weather is good, the Redding area is a hidden gem of riding in NorCal. The Redding area prides itself in offering abundant outdoor activities that range between house boating on Shasta Lake, hiking Trinity Alps, fishing, and more recently cycling. 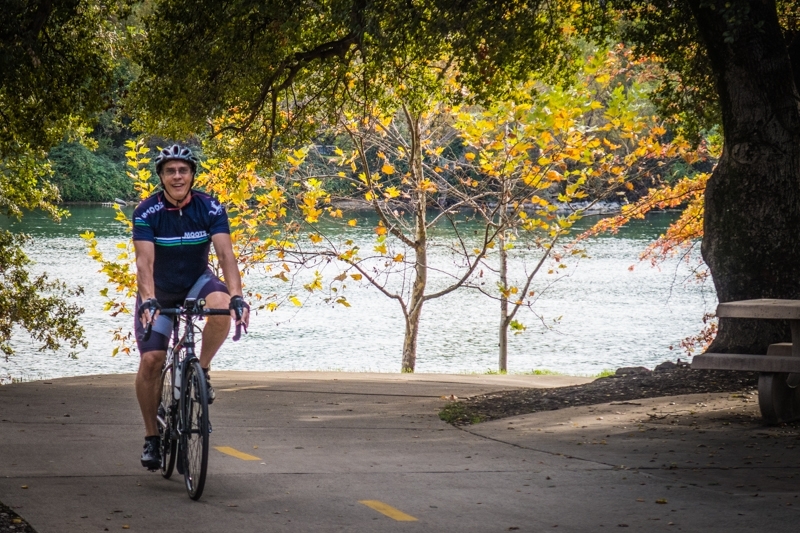 Always known for having a terrific mountain bike scene that can be accessed from the Swasey Recreation Area on Swasey Road or the East Keswick trails off of Quartz Hill Road, the BLM has recently constructed a network of paved bike paths from downtown Redding to Shasta Lake. Paved bike paths in California come in one of two varieties: those that follow waterways or those paved over rail lines. The Redding paths have both but have paved over mountain bike trails over some steep sections that make them unique to the others. If you want to test both fitness and bike handling skills while experiencing vistas of the Sacramento River and area mountains this will punch your ticket. Nicest part is that these sections are a barrier to the usual path obstacles of wayward dogs, careless joggers with headphones and five abreast walkers. Most of the Redding congestion is concentrated in the Sundial Bridge area. Our ride started off the Sacramento River going up the Middle Creek trail towards the mining town of Old Shasta. We bypassed the infamous Heart Rate Hill/Single tracking section saddening me since it is my favorite section of bike trail anywhere. Middle Creek has more gentle climbs with several tight bends above what is now a roaring creek. After crossing through Old Shasta, we made the transition back to the River Rail Trail by turning right on Rock Creek Road. Back on the trail, it was a twenty minute, 7.5-mile sprint, to the base of Shasta Lake along a very muddy looking Keswick Reservoir. The approach to the Dam was up the western side using the seldom-used Coram Road. Coram was shut down to regular traffic after 9-11. During the summer months, my advice is to head up the trail at the crack of dawn to not only beat the heat but to witness one of the most amazing spectacles on the planet. On the east side of the dam, there is a visitors center with park with benches and trees that overlook the Dam. Around 6:30 am during the early summer, the Peregrine Falcons that nest on the face of the dam begin their feeding. I am not a big fan of noisy crows, so seeing them getting obliterated out of the sky by Peregrines diving over 200 mph at eye level no less is the most awesome event in nature that I have witnessed. Peregrines are the fastest member of the animal kingdom. Why that I am usually the only one in the park at that time is beyond me. If the carnage bothers you, drift to the other side of the dam and watch the Bald Eagles and Ospreys pluck fish out of the lake. From the Visitors center turn right and climb to where the turnout is after a mile. That is the postcard picture that everyone has seen of the dam with Mt Shasta photobombing the Lake. Continuing on you will descend down several miles to the Lake Blvd stop sign. A right turn will take you back to Redding. However, a desirable detour is to go straight through the stop sign a half mile and turn left at Shasta Park Drive. Follow the Digger Bay signs where you hump over a very steep hill down to the boat ramp. It is very similar to going to Yorty Creek in Cloverdale via Hot Springs Road.